"My daddy always used to bring me presents and I miss that. I wish I could tell him that the best present I’ve received since he died was my week at a Circle camp." Circle Camps began in 2002 at Camp Tapawingo in Sweden, Maine. For 12 years, the program enjoyed consistent growth in camper numbers and recognition throughout the New England region. In 2012, inspired by the proven success of the Circle of Tapawingo program, the Board of Directors voted to change the organization's name to Circle Camps for Grieving Children with the goal of serving more young girls. The Circle experience begins with the Camper Program for girls ages 9-12, continues with the Teen Program for ages 13-14, and ends with the four-year Leaders in Training (LIT) program. LIT-1 is an introduction to camp leadership, with emphasis on team building. LIT-2 focuses on the development of personal leadership style through counselor training and role modeling. LIT-3 promotes project-based skill acquisition and confidence building through service opportunities. LIT-4 inspires the understanding of individual accountability for group success through an immersive outdoor challenge. ​Campers live in bunks with trained, volunteer counselors and participate in a unique schedule combining traditional camp activities and age-appropriate grief activities. 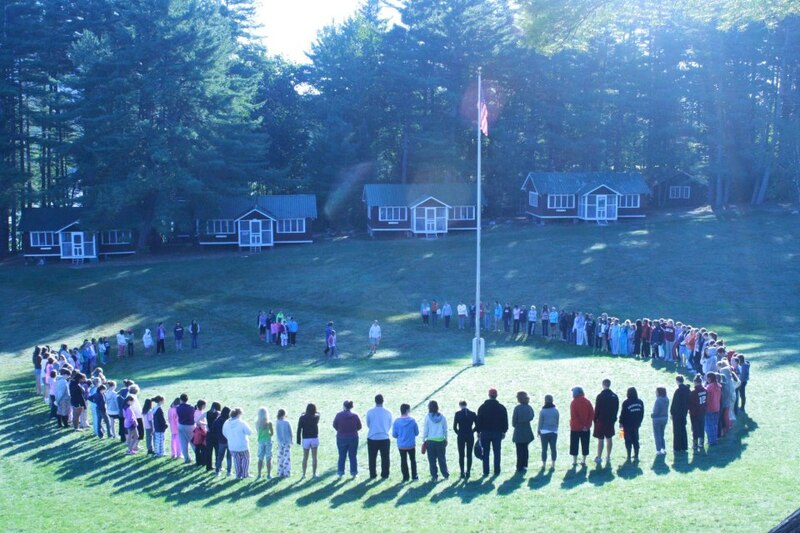 Under the guidance of licensed professionals, the Circle week offers several structured opportunities for campers to share and rework their stories of loss. Equally important to the Circle program are the spontaneous conversations – in the bunks, on walks down to the lake, during rest hour – that help campers feel supported and connected to each other. "You come as strangers and leave as sisters...when I’m at school I feel like I have to put on a mask and hide my true feelings. So in that sense, it’s hard to make friends when you’re hiding the true grief you face. But here they understand. And the sisterhood adds so much more to the camp experience. In a way it’s not just swimming and arts and crafts. I guess its just love. Honestly, I feel like love and friendship is the only way to heal from losing a parent. And the fact that all the staff is here to help us heal is great. It doesn’t matter what you are, whether you’re black, Hispanic, Asian or white. Love is love. I came the year I lost my mom and honestly, I was lost. I didn’t know how would I grow up without her. But after coming to Circle I realized that I wouldn’t have to grow up alone…"
"What another amazing week I had as a fifth-year volunteer at Circle. I’m part of a counselor group ranging in age from our 20's to our late 60's. We all love children and we all love camp. Why else would we sleep on army cots with plastic mattresses, brush our teeth with cold water, and shower only once every three days? Does it matter that the temperature often dips into the low 40s and we are sleeping in open bunks? No! We go to bed in our clothes and then wear them to breakfast the next morning. We are happy, and just a little smug at being so cheerful about our discomfort. Our happiness surrounds our campers and invades the inner places where many of them have locked away their smiles. 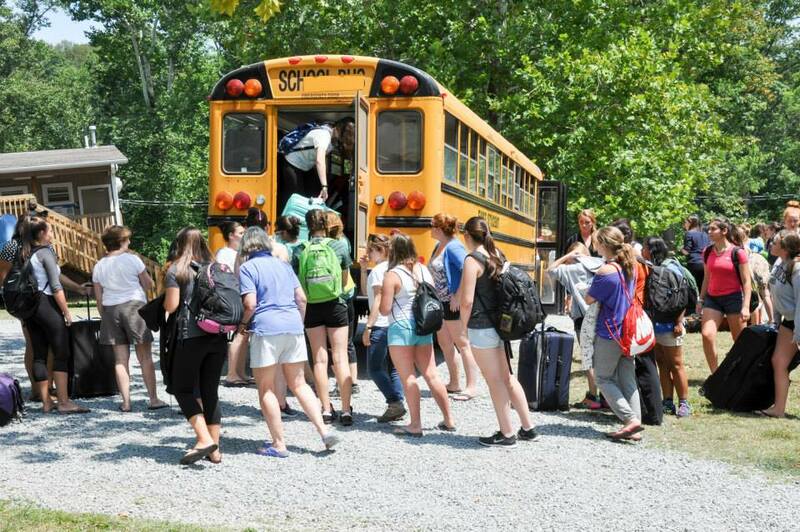 Circle doesn’t just change the lives of its campers – it has changed my life, too." "As soon as my daughter got off the bus this Friday, I knew quite literally from the look in her eyes that she was a different girl from the one who got on the bus six days earlier. Her face reminded me that my beloved husband used to say that when I was very happy, my eyes turned especially blue. After Circle, Sarah's eyes were more intensely green than I've seen them in the three and a half years since Ed became ill…Sarah told me that her eyes were green because she was so happy at camp, but that they were also red since she had been crying because she was so sad to leave camp. She can't wait to go back next year. Thank you Circle Camps counselors. After years of trying to work through our pain and loss, in six short days, you have put us on a path to true healing." It’s hard feeling and being different. With hundreds of other campers who share loss, we are stronger together. The week at Circle flies by. The friendships and memories last a lifetime. It’s difficult to calculate the value of adults helping children. Children helping children is priceless. "My Circle friendships are genuine and strong, and my Circle friends understand which is something I’ve craved since the loss of my mom. Circle is a safe haven."